I am looking for someone to sublease for the summer! I will not be living up in Fort Collins in the summer and a sublease would be greatly appreciated. :) I will probably never find a nicer place to live until I get my own house. This place is incredibly nice and convenient. If anybody needs/knows somebody who needs to find a place in Fort Collins this summer, please let me know!! Thank you! 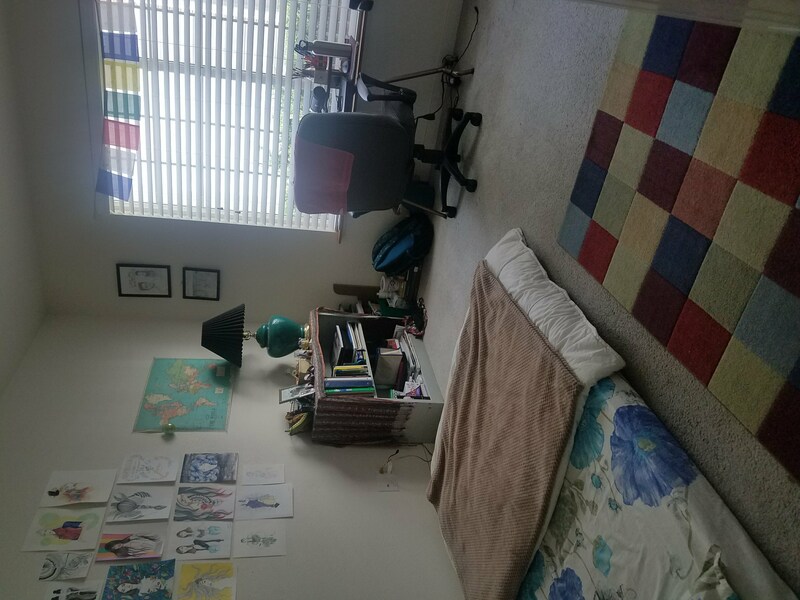 I am moving out of Fort Collins and am need of subleasing my room for the remainder of the lease. 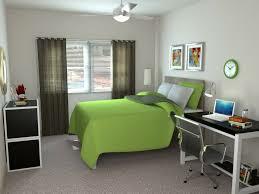 It is one room of a 4 bedroom apartment, and you would likely be the only one living in the apartment over the summer. I will pay for all of May and deduct the prices for June and July. 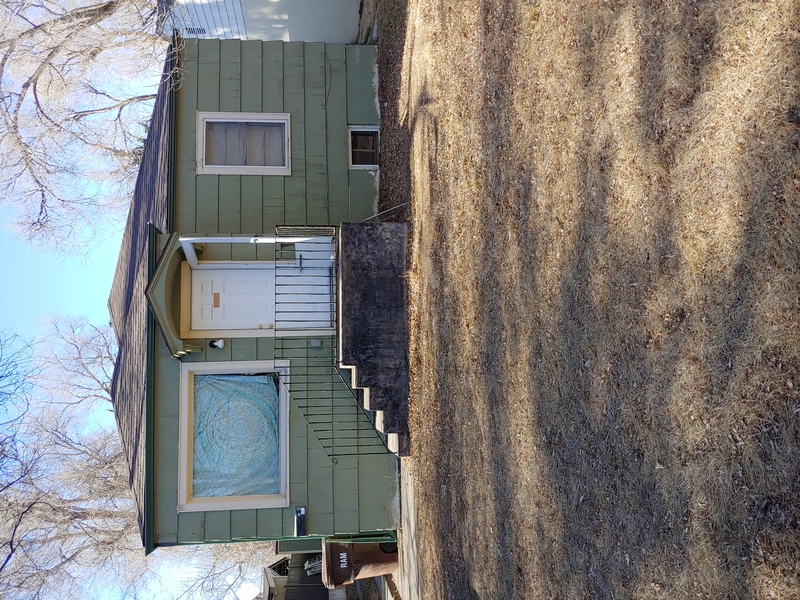 Lease available June 1st-july 31st One 11.5X11.5 room that it close to the Colorado State University campus as well as Historic Old Towne Fort Collins. House has newly redone bathrooms and some kitchen appliences as well. In a fantastic neighborhood next to a park and various bike trails.  Looking for a two-month subleaser for my apartment at W. Elizabeth Street and S. Taft Hill Road for Summer 2019. Available from May 15-July 22, 2019. Discounted $50 at $650/month plus utilities (usually around $20-$30/ month). Includes fully furnished bedroom and living space, private bathroom, walk in closet, full kitchen, laundry, and apartment amenities (ie. pool, hot-tub, volleyball courts). Parking and Bus (comes every 15 minutes) available. I am looking for someone to sublease to over the summer. 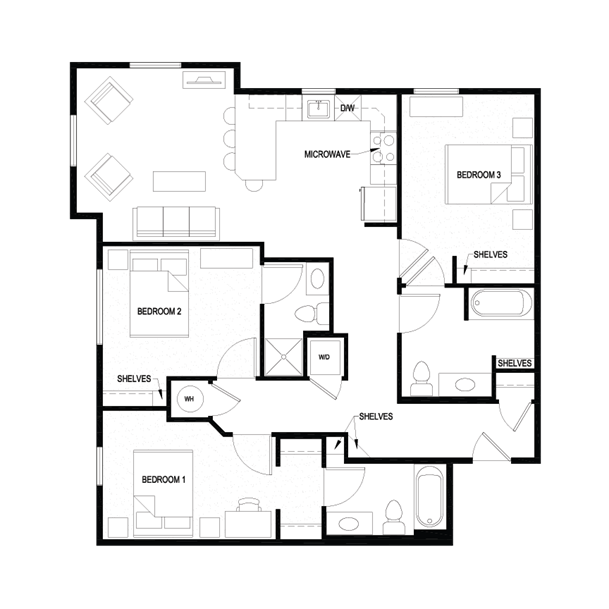 It is a 3-bedroom 3-bathroom apartment at the Grove. You would get your own huge bathroom and a walk-in closet. The apartment comes fully furnished and all utilities included. There is a pool/clubhouse, a 24-hour gym, parking, and it is close to the Around the Horn bus stop. Newly built, apartment room needing sublease for Mid May till end of June. Right next to campus! Bedroom has a private bathroom. Room comes with dresser, desk, nightstand, & bed frame. 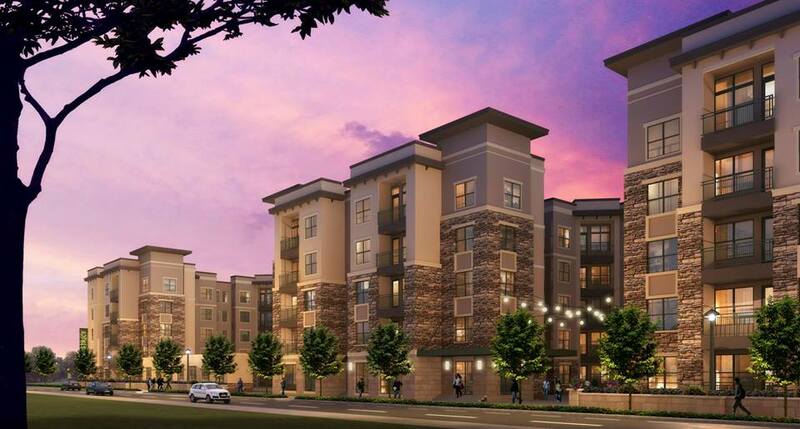 Kitchen has stainless steel appliances, granite countertops, furnished living room, wash/dryers! There are hot tubs, a gym, pool, grills, & rooftop patio. This is a 5 bedroom unit, all have private bathrooms, however, there will only be one other person in the apartment this summer. One room available for sublease from mid-May to the end of July. Fully furnished with private bathroom, and shared living room and kitchen. Rent includes wifi, water and sewage, and trash services. The apartment has a pool, hot tub and gym services. 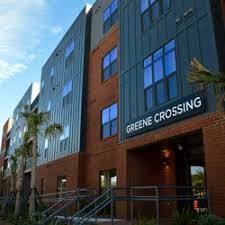 Apartment is a block away from CSU and a short drive to old town. 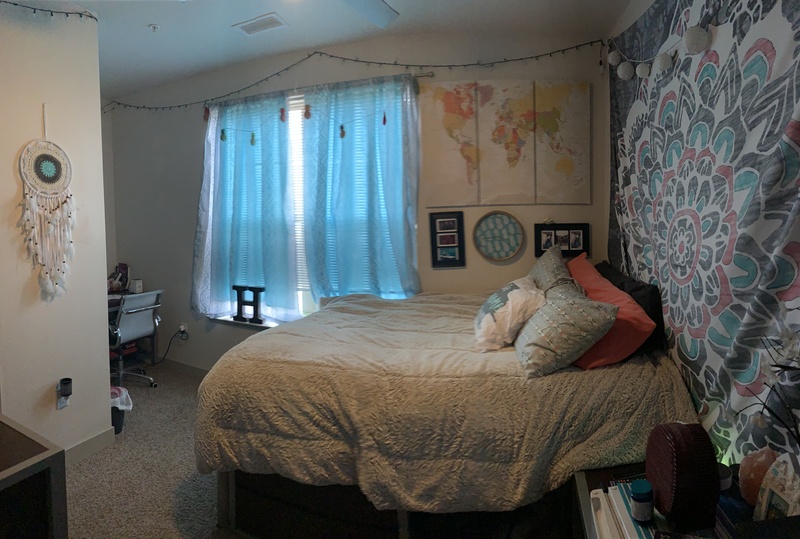 Looking for someone to sublease my room as I am graduating in May. The lease ends in August and has options to become your own lease without changing rooms. Room is furnished with a private bathroom. The unit has a dishwasher and laundry machine and dryer. My lease does include a parking spot. Street Address: 1721 Choice Center Dr. 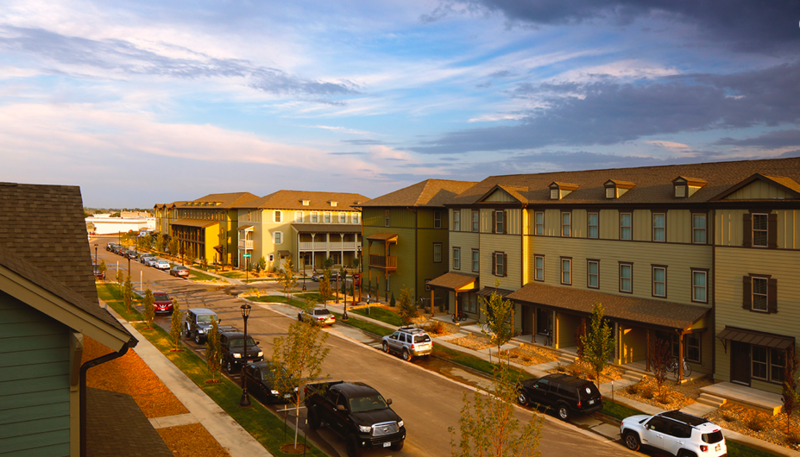 I have one room available in the Outpost housing community (Ft. Collins). It is a 3 bedroom house and it is furnished. You will have your own room (upstairs) with a private bathroom. The home is 3 bedroom 4 bathroom. The housing community has a clubhouse with a full gym, outdoor pool and hot tub, movie room and study area (with printers for use). 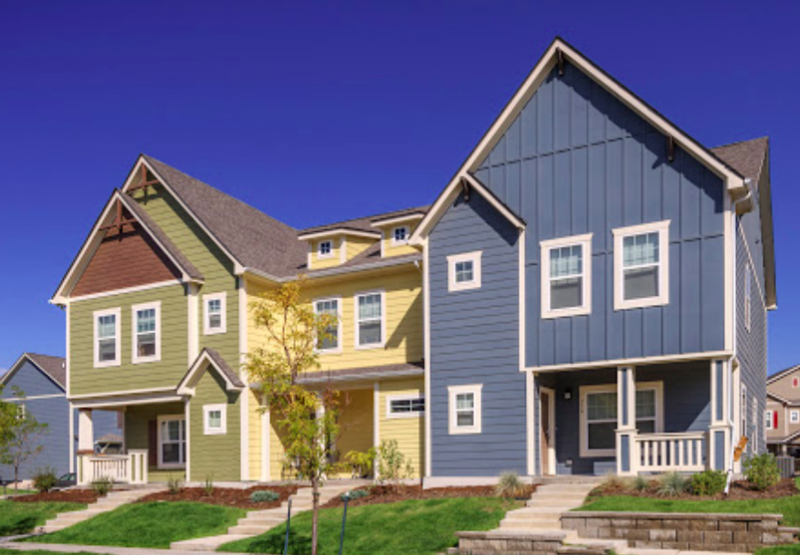 It is a great community located just north of Old Town (walking distance to old town, new Belgium,, etc) and about a ten minute drive from CSU. This room comes fully furnished with a walk in closet and a full private bathroom. The room is in a townhouse apartment that is also fully furnished. 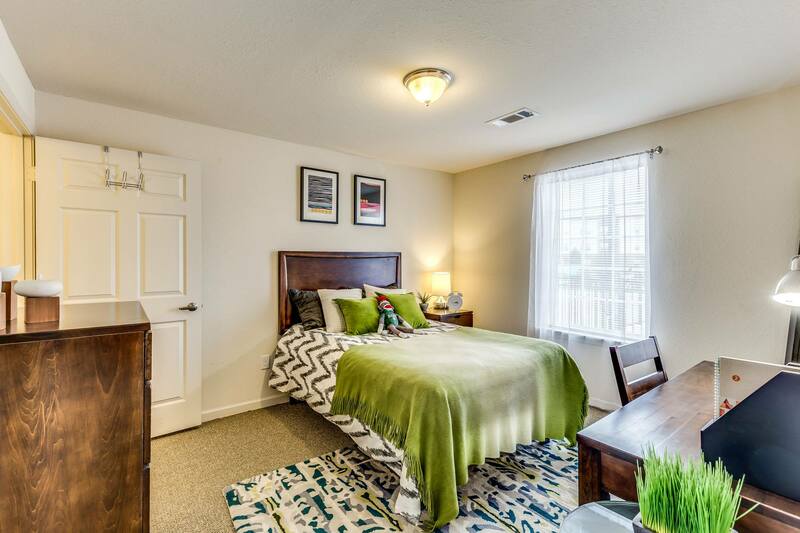 The townhouse is made up of 4 bedrooms and 4.5 baths, it also includes a kitchen with appliances, a living area, an in-unit washer and dryer, complimentary cable and wifi, and is pet friendly depending on the breed and weight. 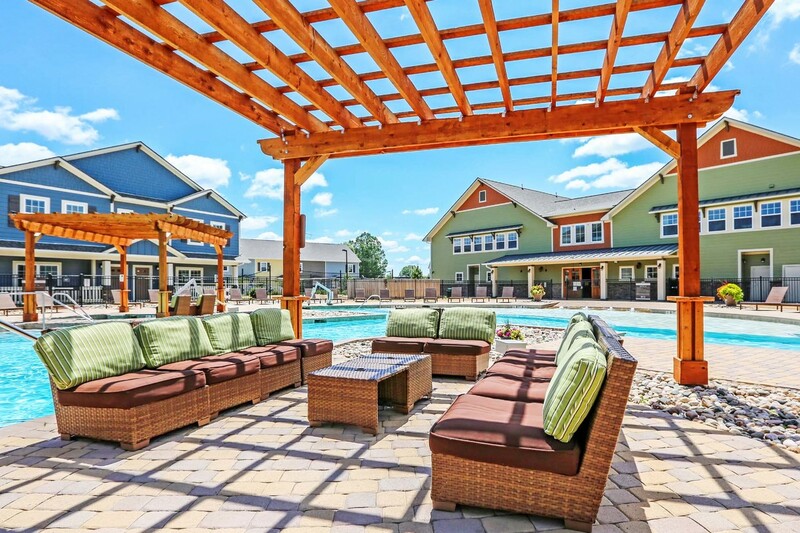 In addition the districts provides access to a pool with hot tubs, outdoor TV's, fire pits and grills, a gym, and more. This town has home 4 bedrooms and 4.5 bathrooms. It is a less than a mile walk from campus with busses servicing daily. It is filled with amazing amenities from a gym to a pool. I am looking for a sublease for spring 2020(January-August). 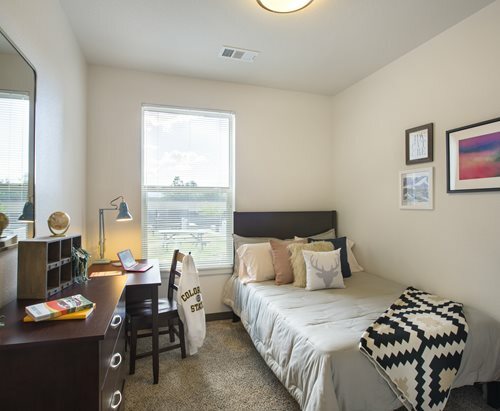 Subletting a room directly across from CSU's campus. It's $440 a month and in a great part of town. The room itself is very large and the roommates are a couple guys who are very respectful and clean. The property manager is also very helpful and quick to assist. A 5 minute walk to CSU. This is an apartment share. A modern 2-bedroom, fully furnished apartment on the 3rd floor. There is no street noise. The public area contains the fully furnished kitchen, living room as well as the Washer/Dryer. Each bedroom has its own walk-in closet and its own bathroom. There is currently another woman occupying the other bedroom. This unit also comes with a parking space in the detached garage parking next to the building. Lease for sale immediately! 2 bedroom apartment with 1 bathroom. 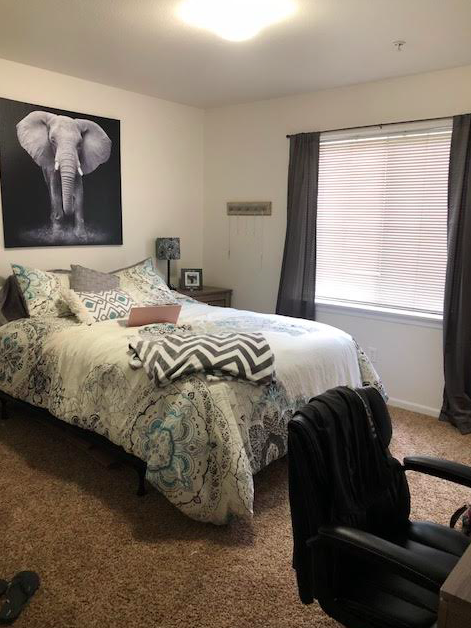 Looking for female roommate, nice female CSU student lives in the other bedroom. The complex has two pools, two gyms, and a study room. Parking is included as well as cable and wifi. The only utilities that aren't included in rent are gas and electric. 9 community style laundry rooms on the property including one right down the stairs from this unit. I need a female student to take over my lease until July 2019. My roommate will still be living there during the term. 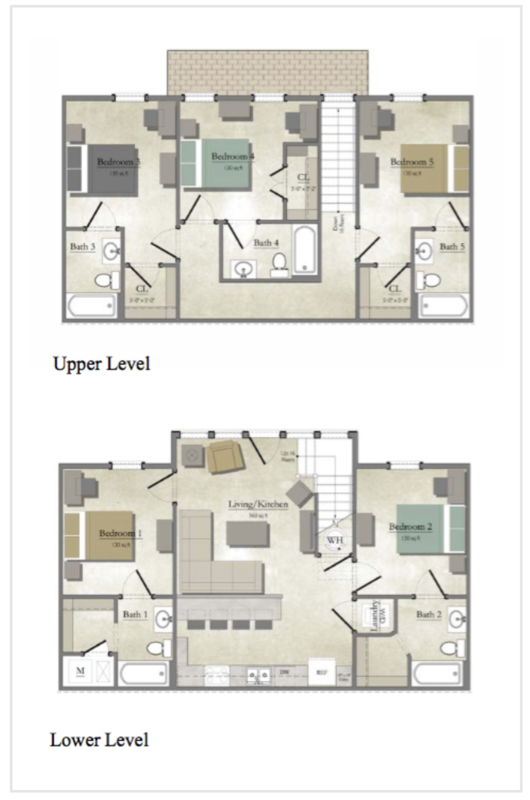 It is a 2 bedroom and 2 bathroom unit. This apartment is on the second floor. Being steps away form the business buildings at CSU, there is no need to drive or ride the bus to classes which saves a lot of money. Please email me if you are interested. 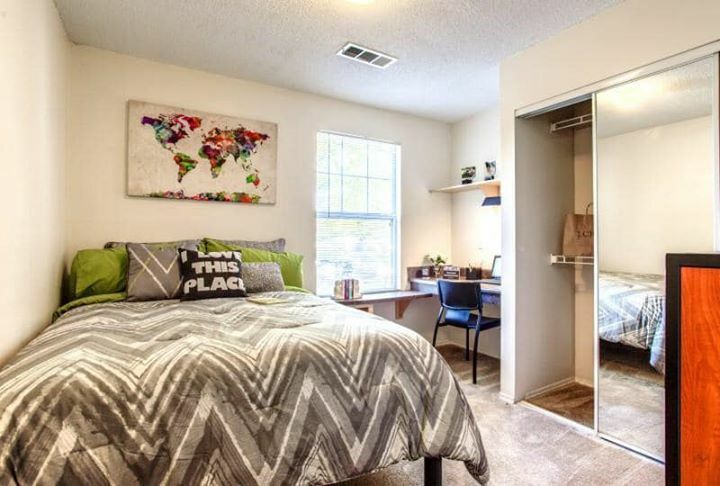 The property is very nice and close to campus. You can walk or take the max very easily. There are a lot of amenities included like a pool, hot tub, volleyball court and gym. There will be four people living in the unit, the other 3 girls are very nice and clean. There is parking available but not included in the $620 rent, there is a dirt parking lot close by if you don't want to pay for parking. Looking to sublease a three bedroom town home. It's super close to Old Town and even has a shuttle that goes to and from campus! It has air conditioning and an onsite washer and dryer. The rent is $710 a month, but that includes the pool, hot tub, theater, game room, gym, tanning beds, computer lab, and onsite parking. It's a great place to live and has so much to offer! It also has a really nice porch swing and is super pet friendly! Hello! I have 2 rooms available at the Cottages starting August 17, 2018. 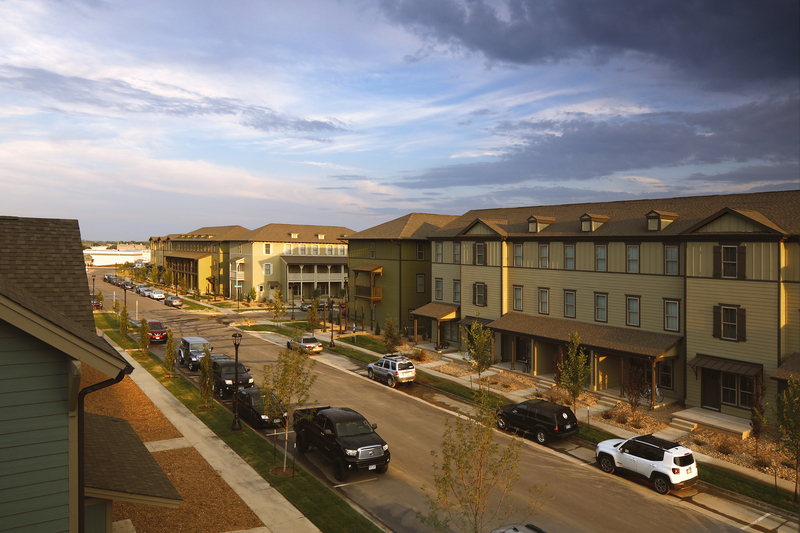 The Cottages of Fort Collins is pretty new & offers resort-style amenities for the students of Colorado State University. It is a 4 bedroom townhome and every bedroom comes with a private bathroom and walk-in closet. 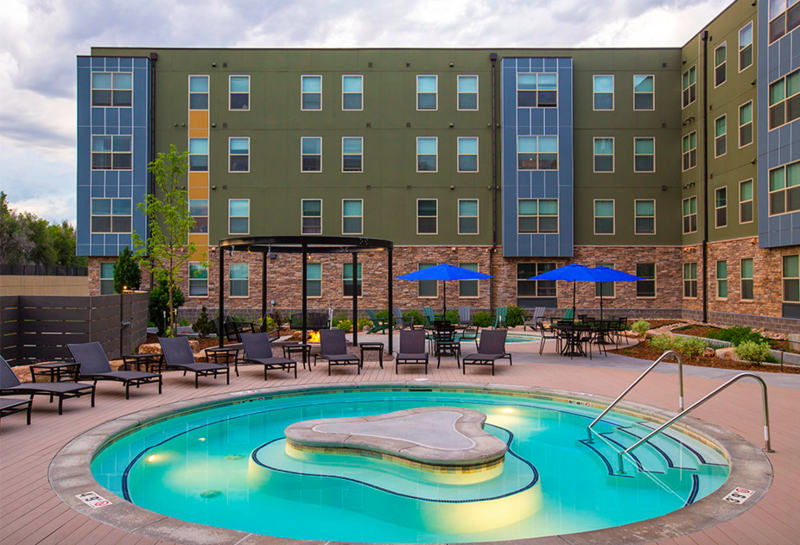 Amenities include a shuttle to and from campus, a 24-hour clubhouse with a fully equipped gym, sauna, steam-room, and resort-style pool with spas. Free parking for all residents! Comes fully furnished. Looking for a female to sublease a 1 bed/1 bath in a 2 bedroom home on prospect road for summer. Rent is $460. The apartment is close to south of campus with easy bus access (route 2, 32, 7 and 17). Kindly contact me for more details. 1 bedroom in the basement of a townhouse with it's own bathroom. The basement has its own living room. 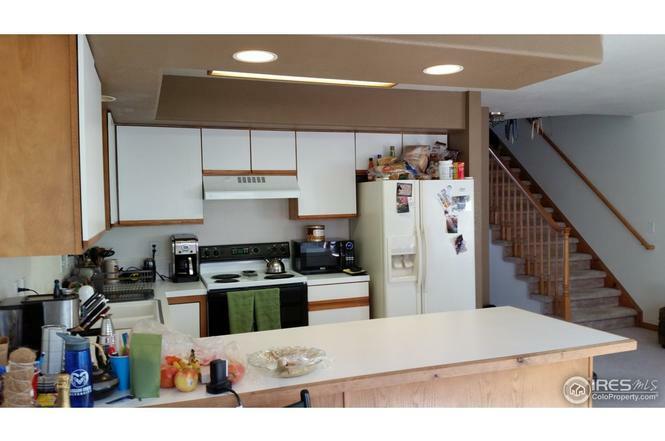 Two other roommates will be living in the upstairs (males) Shared kitchen and dinning room. Street Address: 2828 Silverplume Dr.
Three bedroom apartment with all female roommates and a cat. Bedroom and bathroom are connected. The unit has a full kitchen as well as a washer and dry in the apartment. Apartment has a full gym, pool and media room. Covered parking included in rent. Looking to rent from the middle of May (May's rent would already be covered) until August 1st. I'm looking to find a sublet for The summer before I get married in our 4 bed 4 bath townhouse. 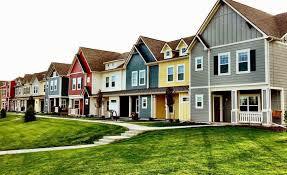 It is part of The Cottages complex and is PERFECT for students. 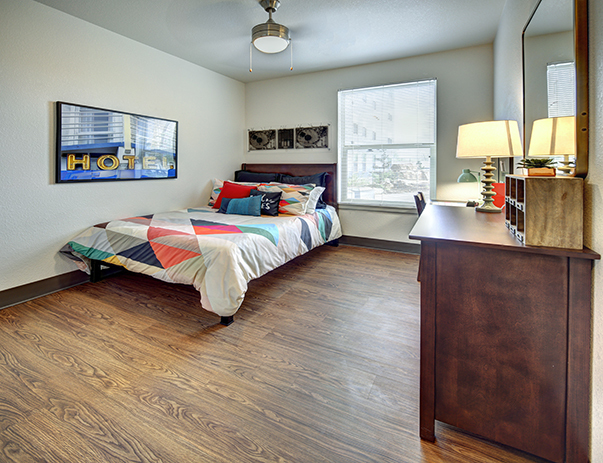 You will get your own bedroom and bathroom on the third floor, a walk in closet, and IT'S FULLY FURNISHED! 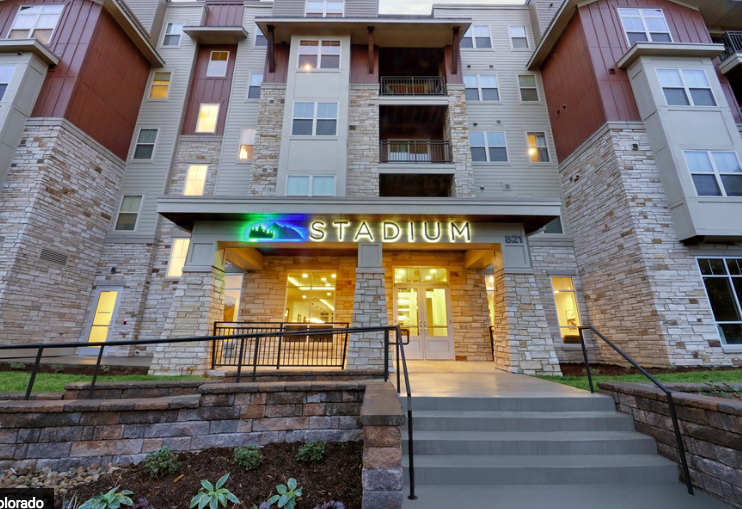 Other amenities include:-washer and dryer in unit -private bathroom and bedroom -pets are welcome -HUGEdog park -private shuttle service to and from CSU -clubhouse And so much more, seriously. 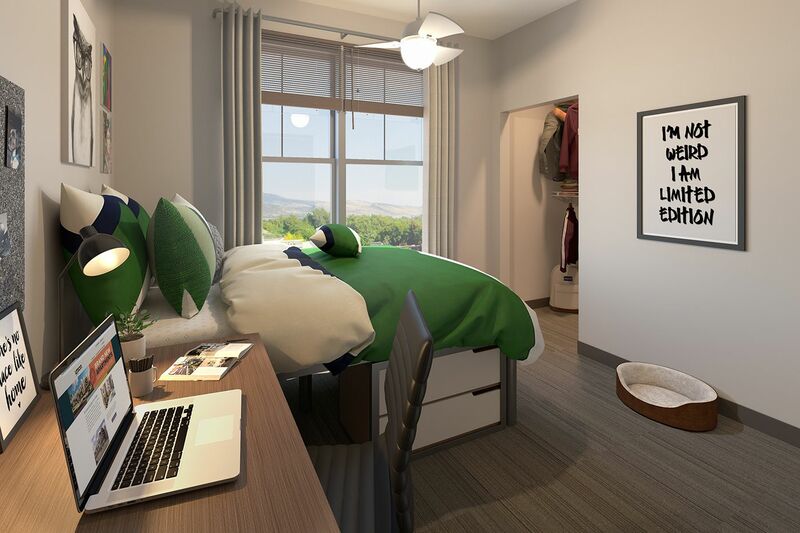 Three-bedroom unit available at Pura Vida Place for summer 2018. Move in as early as May 18th, with May rent free! Unfurnished and very spacious, with air conditioning, kitchen appliances, and in-unit washer and dryer. Pets allowed! 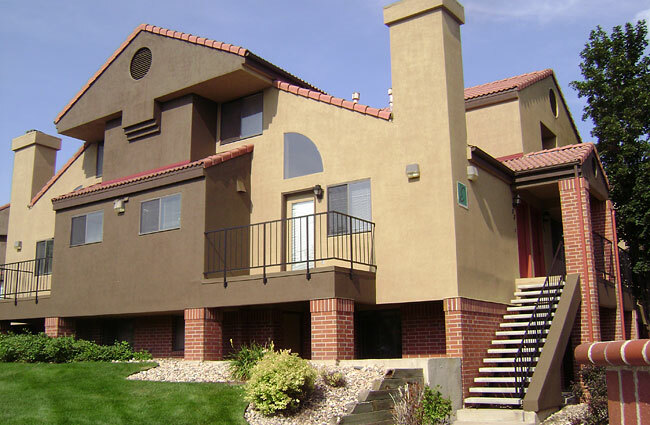 Located across the street from CSU and just a short walk from downtown. 1- or 2-person inquiries welcome.